Limassol is not only a large business center of Cyprus but it is also a sunny touristic city with wonderful hotels, modern residential compounds and villas located along the seashore. The climate here is very favorable and mild providing 320-340 sunny days a year. Mountains are within a stone’s throw from the city. …A February day. In the morning Tatyana can go and swim in the sea (water temperature is 19 degrees), pick up some oranges from her own garden, get an eyeful of blooming almond, green meadows or, using the car, she can get to ski center within an hour. Then, having a bite of meat meze of 17 meals in little mountain village and having mountain herb tea for a drink, she goes to sea, feasting eyes on the landscape along the way. You can visit evening service in the monastery in the mountains, touch masterpieces of church painting. And by dinner you can get to a fish tavern to have a sour glass of fragrant Cyprian wine with tasty seafoods. Limassol is the largest center of maritime traffic in the European Union. The largest international port of Cyprus is situated here. 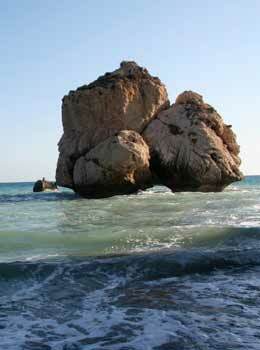 It is located in the Akrotiri bay. From here ships sail off to Israel (Haifa Port), Egypt (city of Port Said), Lebanon, Greece (Piraeus Port and Greek isles of Patmos, Crete and Rhodes) and to many other countries. 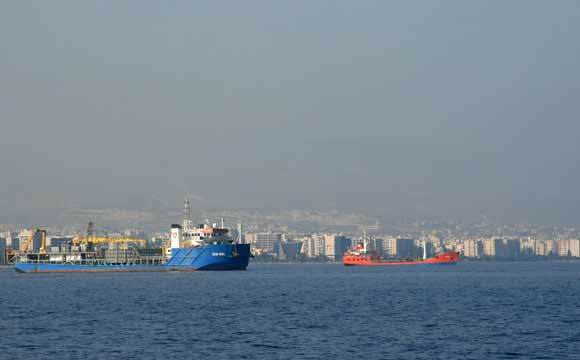 Cruise ships put into Limassol, and there is also ferry connection. The reconstruction of new port is planned to be finished in 2012: there will be new terminal for passenger liners, the depth of the bay will be 16 m; south jetty will be increased by 500 m, new storage facilities will be built. The entire infrastructure of the port will be renovated. 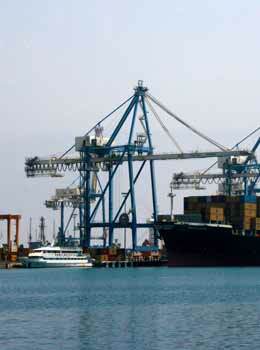 New sea port of Limassol will become the largest port of the entire eastern Mediterranean. The road that connects new port with all highways leading to Paphos, Nikosia, Larnaka and Troodos will also be built. A unique project is planned in a stone’s throw from old port — building of new marina for yachts, boats and powerboats (over 6,000 of berths) as well as new road along the seaside. Not far from the yacht berth there will be a new conference center. FACT. The most popular cruise from Limassol to Israel is on offer every Wednesday. The trip to Greek isles is on offer every Friday, and round trip to Egypt – every Monday. Tatyana considers Limassol to be a special city, because it is a business center and at the same time marvelous Mediterranean resort! Limassol is the second largest city of Cyprus with the population of 280,000 people, the largest economic, trade and touristic center. 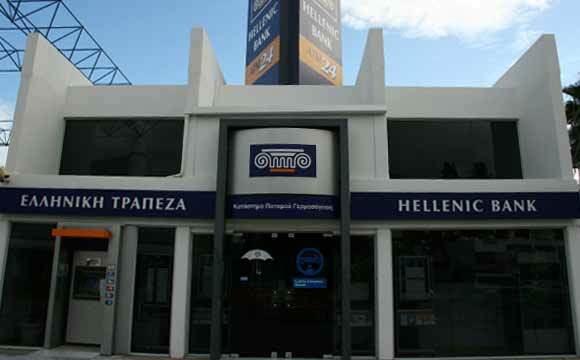 It is conveniently located 70 km away from international airports of Larnaka and Paphos. 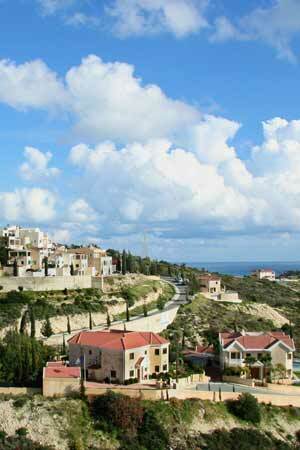 Limassol is the leading center of international trade and famous winery region. Limassol comprises historical city, cultural center and wonderful resort. The city is divided into three main touristic zones: central district of Limassol, district of Potamos Yermasoyias (5 km away from the center) and Amathus district (8 km away from the center). All three districts are situated at the seacoast and have many restaurants, taverns, bars, discos and nightclubs. Main trade streets of Limassol are located in the center of “Old City”. These are shops and boutiques of renowned brands, and malls. It is in Limassol where the largest shopping mall of the island has been built, and this mall is comprised of 150 trading spaces, 17 cafes and restaurants, and a real skating rink. Limassol is the center of cultural life. It has theatres, concert halls, art exhibitions of any trends, and cinemas that show latest movies of film distribution. Hospitals of Limassol (both, public and private) are equipped with the state-of-art medical equipment and surgical technologies. Price for healthcare services in public hospitals is quite low, and the citizens of EU member countries enjoy the same right for getting first aid as Cypriots. Thalassotherapy has been actively developed in Cyprus recently and SPA-centers are operating in five-star hotels of Cyprus. The fullest variety of services are provided in the hotels of Le Meridien SPA & Resort 5*, Four Seasons 5*, Amathus Beach 5*. 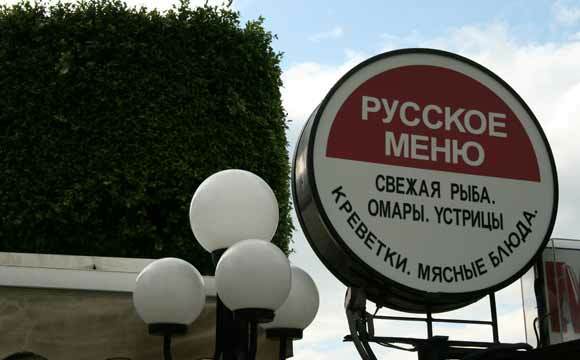 There is Russian-speaking personnel working in SPA-centers of Limassol, and people are recommended to book treatment programs in advance. Limassol – the city of the future. The year 2008 saw planning of some projects for construction of new buildings that will drastically change the appearance of the city. The entire area that is located nearby the old port will be renovated and turned into a resort zone. This multi-million project is planned to be finished by the year of 2012. The construction of new sport center Fytidio will soon be finished, and there will be new golf center. In the near future the Museum of Cyprian theatre will be built. Three important projects that are financed by EU have been developed, and corresponding construction works have started in 2009. They include renovation of city center with the arrangement of pedestrian zones, parking lots, reconstruction of pavement, underground utilities, etc., improvement and further development of resting areas, construction of park with cycle lane, pedestrian zones and plants area. Limassol is considered to be the capital of international business of Cyprus. Its convenient location and generous tax remissions make it attractive for bankers and foreigners that come to rest here, and for developers. REFERENCE. Banks offer the following services for individuals: mortgage lending, consumer lending, automobile lending, deposits in USD and Euro, multi-currency deposits, international clearing, custody services, travelers’ checks, compulsory insurance, Internet Bank-Client services, etc. 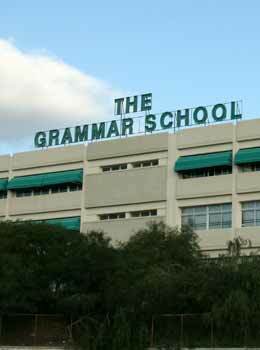 Limassol is famous for its education in English: 25 certified English schools teach children in accordance with classic English educational system. Upon the graduation from the school students receive certificate of state standard. The graduates get the possibility to study at prestigious international institutions of higher education. In the year 2007 the University of Technology was established in old center of the city, which significantly exhilarated this district and resulted in important improvements and reconstruction works. It is in Limassol where the most popular Cyprian holidays and most spectacular bally shows take place. Limassol is considered to be the merriest city of Cyprus. People like to conduct holidays, festivals, carnivals, shows and celebrations here. The most spectacular and memorable events are carnival and wine festival. Festival for children also gathers paces. February the Spring Carnival is held. It coincides with Russian Shrovetide and finishes 50 days before orthodox Easter. Procession of masked is especially beautiful. 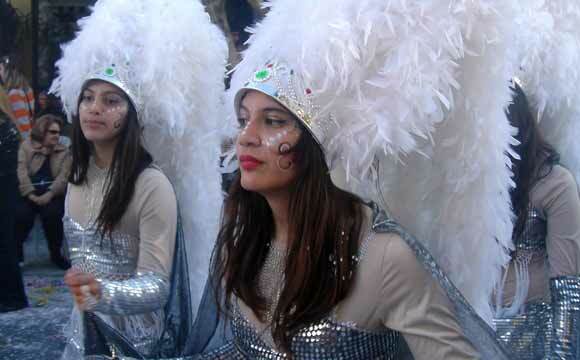 It has become a tradition for all schools and colleges of the city to take part in it. May. Flower festival. The flower holiday taking place on one of Sundays in May. Variety of colors of gorgeous flowerbeds and bunches of flowers is a sort of farewell to the coolness of spring on the eve of hot summer. May/June. Kataklysmos. This holiday coincides with the holiday of Holy Trinity. It is connected to the memory of the Flood and the rescue of Noah. Sea parades and huge fair take place this day. July. Arts Festival: folk festival, cinema and theatre festival and art fair. Second part of August. Lemon holiday in Karavas. Famous wine festival lasts for 12 days in September. As is known, Limassol is the center of wine industry. During these days wine flows like water while music and dances last all though the night until the morning. About one hundred thousand people take place in this festival each year. The queue of those wishing to taste Cyprian wine for free is endless in the city park. FACT. 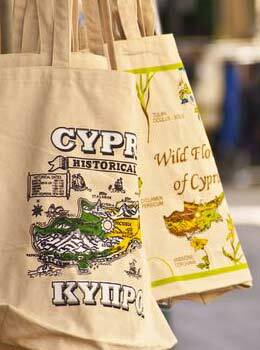 Besides the main ones, Cypriots celebrate about 40 more holidays per year. Tatyana says that the Russians in Limassol are aware of all events happening in Russia. 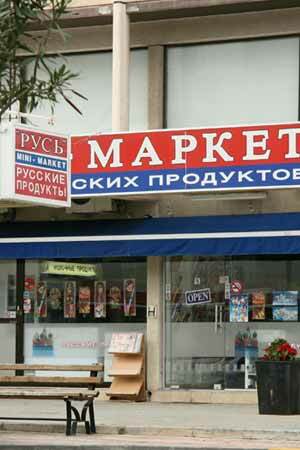 Television broadcasts original movies with English dubbing, and property owners can watch Russian channels and NTV+. The full bunch of major radio stations of the world plus “Auto-radio” in Russian. You can always get latest Russian press. Famous entertainers and bands come here with tours. There is one more reason as to why native citizens of Limassol treat the Russians heartily. “We are of the same faith,” they say.